Ultimately, being a Trailblazer means being responsible for my peers' learning, sharing the tools which have aided me on my journey, and making sure that at the end of the day, everyone I work with is a Trailblazer. 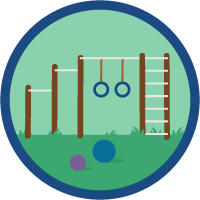 Why did you use Trailhead to skill up? I love video games. Admittedly, I probably played an unhealthy amount of video games prior to my “grown up” phase (of which Salesforce was a big part of!). I knew that I had to cut down on my playing time and use it more efficiently, like in learning a hard skill to become more employable. 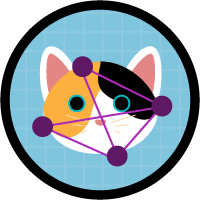 Frankly, what drew me to Trailhead were the cute cartoonish characters and how the learning portion of Trailhead is so gamified with points, badges, and whatnot. 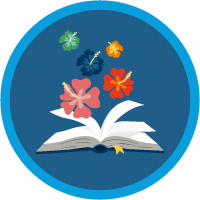 Honestly, I dedicated about 300 hours I would have spent playing a video game to Trailhead instead and learned Salesforce with another “video game.” At the time, there were also prizes given for a certain amount of badges collected! Who doesn't like free stuff? What message do you have for people new to Salesforce? 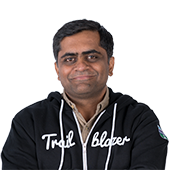 The message I have for people new to Salesforce is that the learning platform is so accessible, especially with the free Developer logins, Trailhead, YouTube, StackExchange, Reddit (/r/Salesforce), SFDC99, and more. I have spent ZERO dollars on learning and earning the credentials I have today. As a recent college grad of California State University, Northridge, I cannot emphasize enough, especially if you are interested in the technology/business space, how important it is to have tangible skills coming out of school. I am now able to utilize not only my technical knowledge of Salesforce but also the business-oriented functional aspects of it. My ability to speak knowledgeably and confidently about a particular in-demand skill (in this case Enterprise Business Systems, CRM, Digital Transformation, etc.) was what differentiated me from my counterparts when interviewing for my current job. How do you use your skills to give back to your community? Although I will be really busy working and traveling as a consultant, I will still lead my own Salesforce user group at California State University, Northridge. I intend for the user group to not only give visibility to the Salesforce platform and the opportunities that come from learning it but also provide a space for students to achieve their life goals. I hope to target both university and high school students as well! 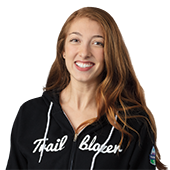 What does the Trailblazer Community mean to you? The Trailblazer Community embodies the “giving back” culture that was instrumental in helping me get to where I am now. In college, I hit a point where I felt so lost. 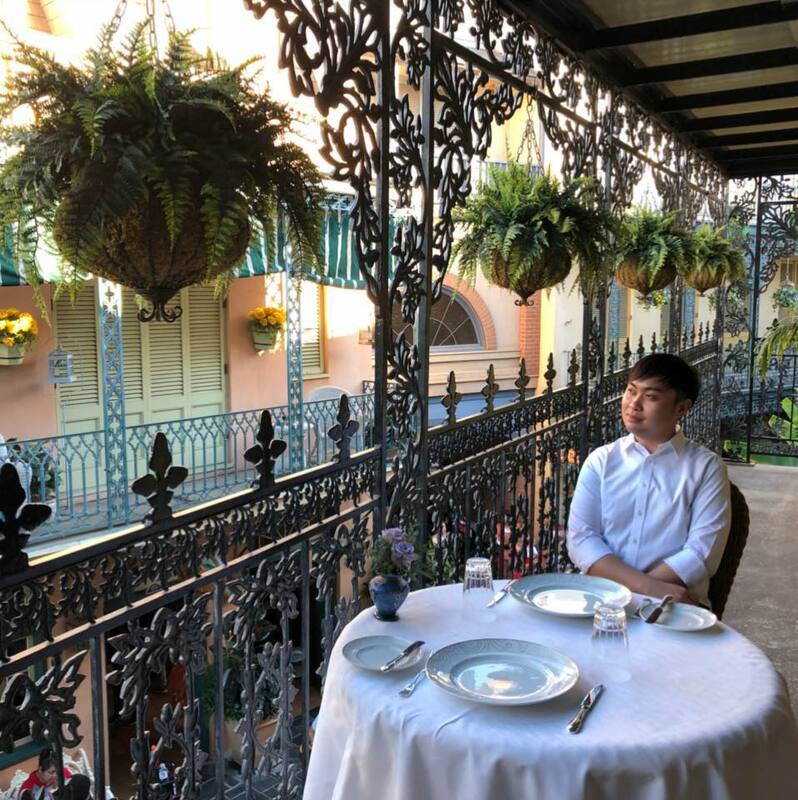 I thought about post-grad things like how I would make money, have a respected career (not just a “job”) that I am proud of, and the overall hurdles to even reach that goal, especially since my school did not have campus recruiting for what I was looking for. I posted online on the Trailblazer Community about those problems and was fortunate enough to have met someone who gave me the mentorship I needed to achieve my goals. 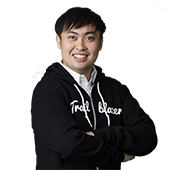 The Trailblazer Community is filled with Ohana, of people who are willing to share, teach, and talk though not only aspects of the Salesforce platform but also life overall. Imagine having help to learn things like how to talk professionally, dress well, or even work in corporate for the first time. What does being a Trailblazer mean to you? 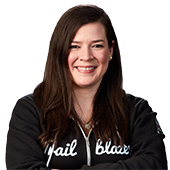 To me, being a Trailblazer means doing things that are not “expected” of me and being a leader who inspires others to blaze their own trail, whether it be Salesforce-related or not. Not only did I become the first campus hire from my school at Deloitte Consulting but also the first management consultant out of CSUN undergrad. I will do everything in my power to inspire both CSUN students and those from non-target schools to show that it truly takes hard work and dedication to really rise above and achieve anything (without it just being that cliche saying!). What is your dream job? How will you get there? Are you already there? In my junior year of college, I realized that I wanted to start my career in management consulting. Since I went to a non-target school, and considering how hard it is to break into consulting even from a target school, I knew I had to differentiate myself. I dove deep into learning the Salesforce platform and was confident enough to take and pass four certifications within a week! Then, I randomly found on Google that there was a local Salesforce meetup at a bar in Los Angeles. I was incredibly lucky to have met a Deloitte partner and recruiter at the event, which eventually led to an interview. I was able to get a summer internship which, after proving myself, was extended to a full-time offer! Are you on team clicks or team code? Who is your hero, real or fiction? No matter what it is you want to do after college, chances are those industries, companies, or schools use Salesforce to run their business. Yes, I have a strong career because of Salesforce, but more than that, I have become a member of a global tribe. 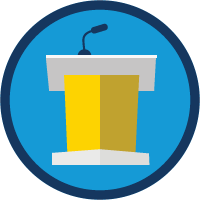 There are so many opportunities to give back and teach your Salesforce, Pardot, and Marketing Cloud skills to the community. It’s time to start your own story.